OMIGOD, you guys! A fabulously fun international award-winning musical based on the adored movie, Legally Blonde the Musical explodes onto Theatre Royal’s stage this August, with the brightest and boldest local talent from Suffolk Young People’s Theatre. 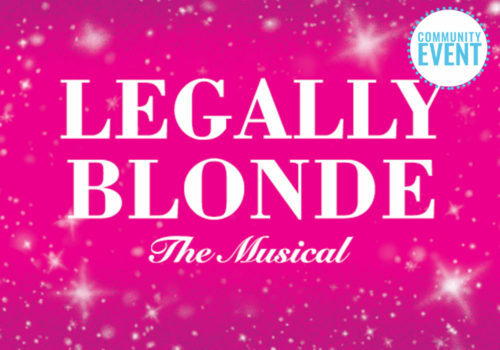 Legally Blonde the Musical will take you from the sorority house to the halls of justice following the transformation of Elle Woods as she tackles stereotypes, snobbery and scandal in pursuit of her dreams. This action-packed musical features a large ensemble and is bursting with memorable songs and dynamic dances. A delightfully camp, energetic and cheesy guilty pleasure for all to enhoy. Sublimely tongue-in-cheek with equal parts hilarious and heart-warming, this musical is so much fun it should be illegal! Wed 7 Aug at 7:30pm 7:30pm Book Now! Thu 8 Aug at 7:30pm 7:30pm Book Now! Fri 9 Aug at 7:30pm 7:30pm Book Now! Sat 10 Aug at 2:30pm 2:30pm Book Now! Sat 10 Aug at 7:30pm 7:30pm Book Now!